Completing the new-generation MINI range, the latest MINI Countryman has arrived in Australia. Four models will be available from launch, with a range of petrol and diesel drivetrains and front- or all-wheel drive options ensuring an adventurous level of versatility. 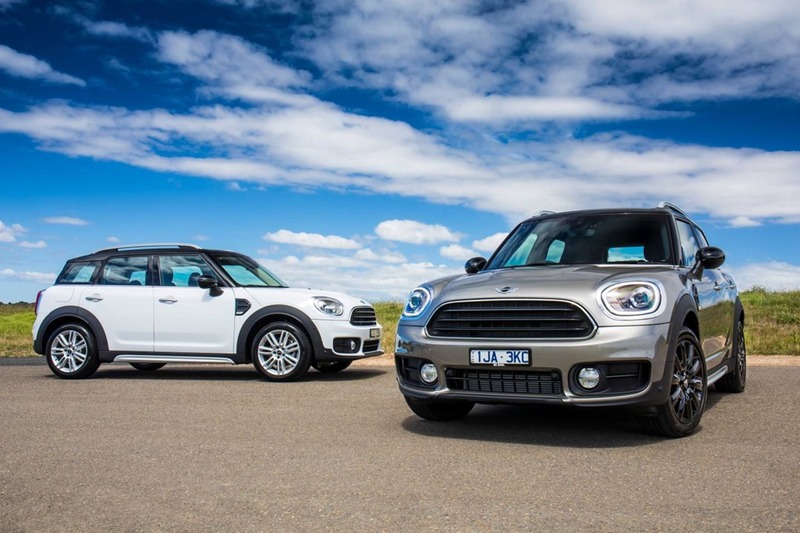 “The new MINI Countryman introduces the excitement of the MINI range to the Premium Compact segment,” said MINI Australia General Manager, Tony Sesto. At 4,299mm the second-generation MINI Countryman is 199mm longer than the predecessor model. Width has increased 33mm to 1822mm, height gains 13mm to 1557mm and the wheelbase has grown 75mm to 2670mm, increasing both road presence and interior space. The MINI Countryman offers a bold appearance that retains typical MINI design DNA, while embracing its position as the brand’s premier Sports Activity Vehicle. Satin silver side mouldings and attention-grabbing roof rails express the Countryman’s multi-faceted capabilities. Front styling follows that of the current-generation MINI Hatch range with a redesigned grille and front apertures, while at the rear a wider ‘Aeroedge’ D-pillar and redesigned tailgate further modernise the aesthetic. An optional revised LED headlight design is further enhanced by a fresh set of daytime running lights. Countryman owners can also specify specific exterior appearance sets that best reflect their lifestyle. The standard ‘Elegant’ exterior theme can be altered to an ‘Offroad’ style via the optional MINI All4 off-road styling package. A sports-led aesthetic can be delivered via the optional John Cooper Works Chili Package. 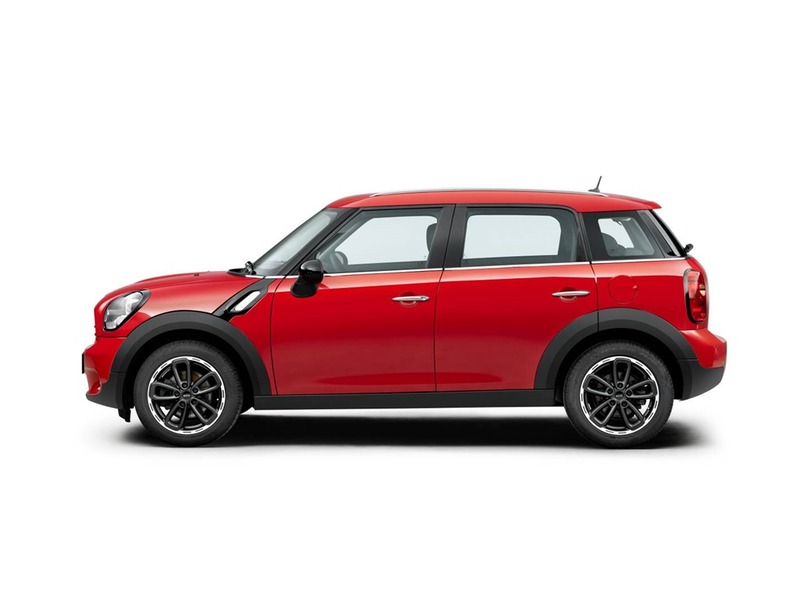 Generous proportions are a MINI Countryman highlight. 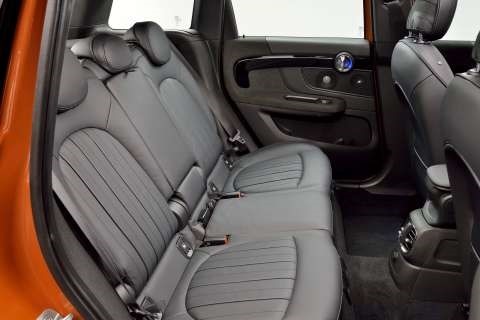 With 59mm additional elbow room, 50mm more shoulder room, 9mm more headroom and an impressive 50mm increase in rear legroom, the new-generation Countryman is more spacious than ever. The full five seats are easily capable of transporting five adults in comfort and the Countryman’s increased dimensions ensure the entry/exit points are easily accessed. Further enhancing the SAV ambience is the higher-set driving position. Set a substantial 9cm higher than in the MINI Clubman, the Countryman’s visibility is commanding. Second-row passengers benefit from unprecedented adjustability, with up to 130mm of fore-aft adjustment. The seat angle can also be adjusted from -1.5 degrees to 28.5 degrees in the luxurious ‘comfort’ setting. The second-row also has a 40/20/40 split-fold, further enhancing versatility. Storage has not been neglected, with various storage sections – including under the driver’s seat and in the full centre console – offering a flexible solution. 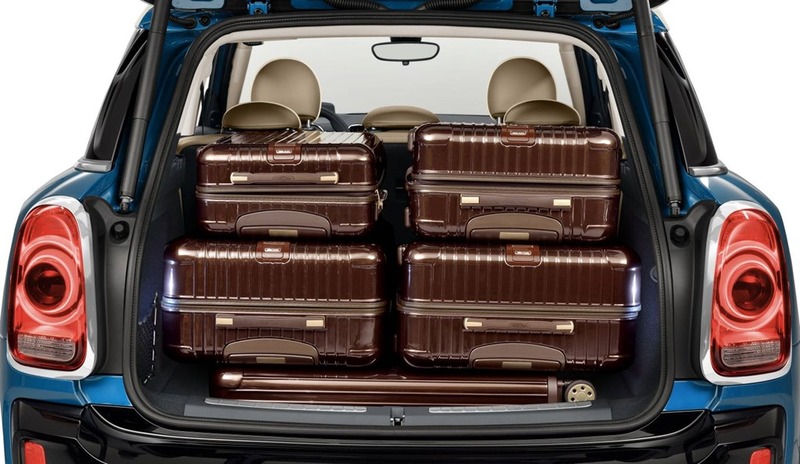 The rear luggage area is variable in layout, with a maximum capacity of 450 litres representing a 100-litre uplift on the predecessor model. The redesigned interior features a mix of high-quality materials and horizontal design segments that create a modern look and feel. Of course, a wide array of internal and external personalisation is achievable via the MINI Yours programme. The latest version of MINI’s competition-proved All4 system is fitted as standard to the flagship Cooper SD variant. Working in conjunction with the stability control system, the electronically-controlled All4 system can react quickly to the given situation to ensure maximum drive in a wide range of conditions. Consisting of a power take-off that is integrated in the front differential, drive is transferred to the rear wheels via a propeller shaft and ‘hang-on’ clutch that can precisely apportion drive to the rear axle as demand requires. As an example of the system’s flexibility, drive is apportioned 100 per cent to the front axle. In dynamic cornering situations, the system can split drive to minimise the onset of understeer or oversteer, aiding stability. On slippery surfaces, up to 100 per cent of drive can be sent to the rear axle. The new MINI Countryman range boasts an impressive array of standard equipment with a strong focus on safety. Active Cruise Control with Stop&Go function is fitted across the range as standard equipment, and is operable from 0-140km/h. This works with a comprehensive Driver Assistant Package that includes Forward Collision Warning, City Collision Mitigation (MINI’s autonomous emergency braking system), High Beam Assistant and Speed Limit Info, which advises occupants of the speed zone the vehicle is currently passing through. Sports seats trimmed in high-quality Cloth/Leather upholstery, comfort access and a reversing camera combine to offer a particular uplift over the predecessor model. Introducing the new MINI Countryman range is the front-wheel drive Cooper. Priced from $39,000*, it is powered by a 1.5-litre three-cylinder turbocharged petrol engine that produces 100kW and 220Nm. Combined fuel consumption is rated at 6.0L/100km, with zero-100km/h acceleration of 9.6 seconds. Opting for the $43,900* MINI Cooper D Countryman brings a 2.0-litre four-cylinder turbocharged diesel engine generating 110kW and 330Nm. Fuel consumption for this front-driven variant is 4.8L/100km on the combined cycle with an 8.8-second zero to 100km/h time. 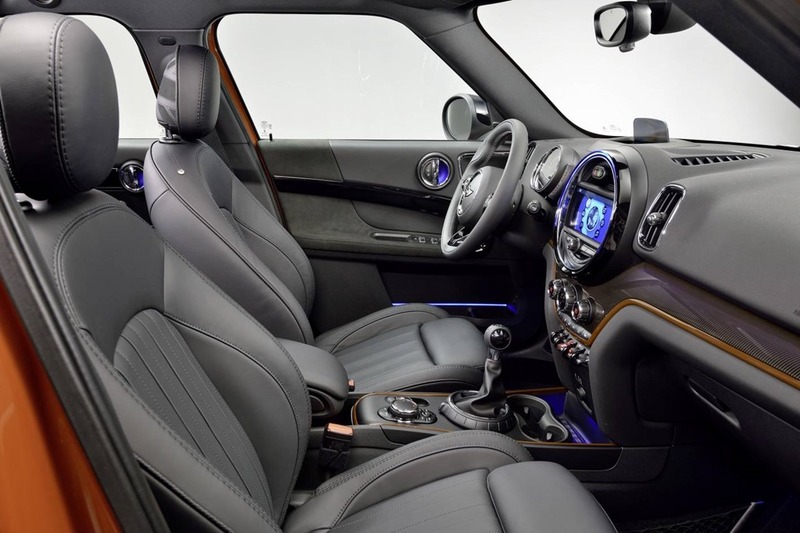 The $46,500* MINI Cooper S Countryman represents a sportier take on the Countryman theme. Powered by a 2.0-litre turbocharged four-cylinder petrol engine and driving the front wheels, the front-drive Cooper S Countryman outputs 141kW and 280Nm. This variant consumes 6.5L/100km while accelerating from zero to 100km/h in 7.4 seconds. It rides on 18-inch light alloy wheels. Available from $51,500* the Australian launch range is headed by the MINI Cooper SD All4 Countryman. The MINI Cooper SD All4 Countryman puts its power through a sophisticated all-wheel drive system that is designed to maximise traction. Peak power is 140kW, with a substantial 400Nm of torque. Fuel use is set at 5.2L/100km, with zero-100km/h acceleration achieved in 7.4 seconds. All new MINIs are covered by a three year/unlimited kilometre warranty, while service and selected maintenance costs can now be covered by a single, one-off advance payment with MINI Service Inclusive. 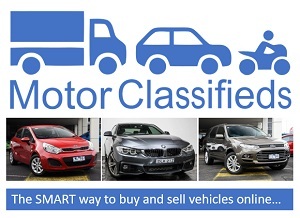 MINI Service Inclusive offers two packages, Basic and Plus. Basic provides scheduled servicing cover, while Plus combines scheduled servicing and selected maintenance items. MINI Service Inclusive takes care of scheduled servicing costs for five years or 80,000km, whichever comes first. MINI Service Inclusive plan provides a long term solution enabling cover to be extended and transferred to future vehicle owners before expiry.